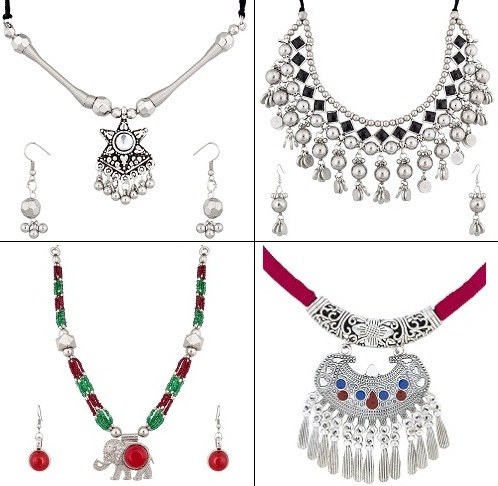 Jewellery or accessories complete your ethnic look, enhancing the various features and your attire as well. 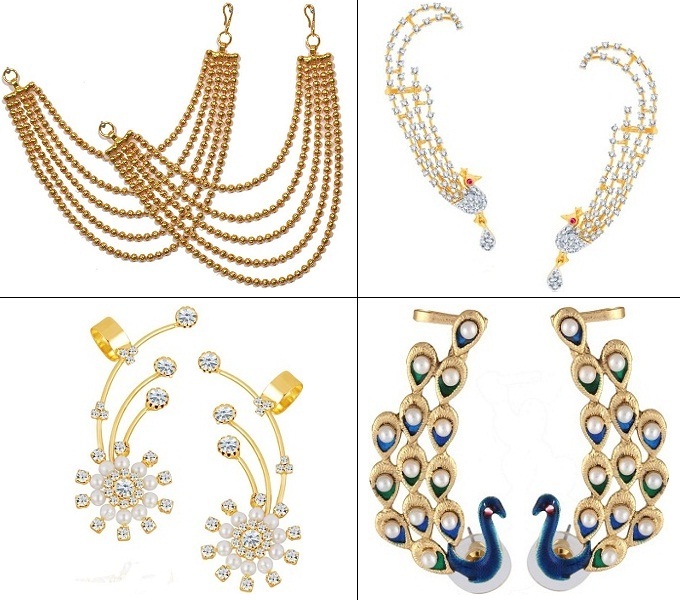 Your chaniya choli look is certainly incomplete without the right jewellery pieces. The first and foremost tip is to team your attire with minimal accessories. Instead of solid gold jewellery, you can opt for these 5 statement jewellery pieces that will make you the undisputed queen of the evening. Wearing those same old bangles is boring, isn't it? 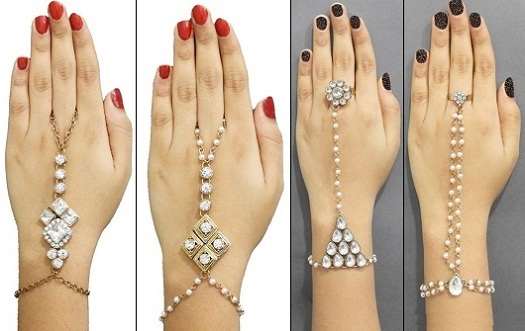 This Navratri, give a twist to your ethnic look with a hand harness. Hand harness is very much in trend these days. It makes your attire look classy. Rock this trend with a high low kurta and a contrasting dupatta to rock the Navratri look. Ditch the jhumkas this time and opt for statement ear cuffs. They are selling like hot cakes this Navratri. Avoid wearing heavy jewellery when you are wearing ear cuff as it is enough to grab the eyeballs. 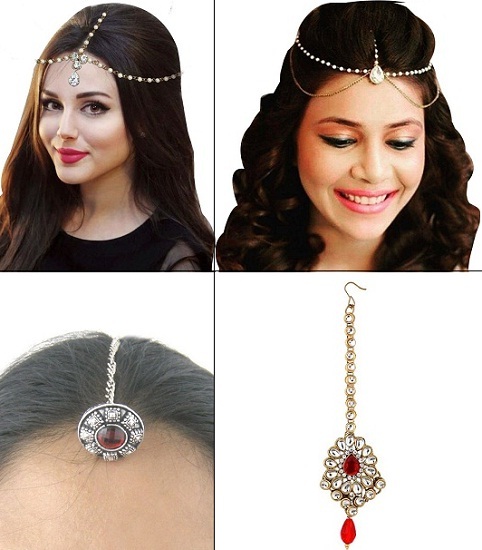 Make sure you pick ear-cuff that goes well with your chaniya choli. Give a modern twist to your mang tikka with these beaded chains. This little piece of jewellery will glitter through a pastel dupatta for that royal look. Simply wear this single jewellery piece and you are sure to make heads turn. There is nothing like a set of oxidised jewellery along with your chaniya choli. It can definitely make or break your look. An oxidised necklace set brings out the boho look and adds the much-needed charm to your appearance. Pick a pair that matches with the colour scheme of your dress and you will be the object of envy the whole evening. Looking for an enticing piece of jewellery that will grab all the attention? Turn to anklets. Adorn your feet with these pretty anklets. Dandiya without anklets seems unimaginable, right? Dance the night away wearing these amazing anklets.